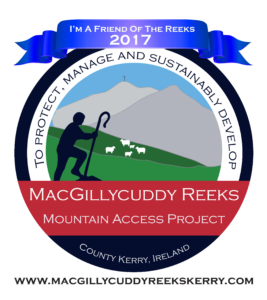 The MacGillycuddy Reeks Mountain Access Forum was established in mid 2014 to implement a plan of action for the sustainable management of the MacGillycuddy Reeks, an area of over 100 km2 of which is entirely in private ownership. The Mountain Access Project is an initiative of Comhairle na Tuaithe, the national body with responsibility for outdoor recreation, which is resourced through the Department of Environment, Community and Local Government. The MacGillycuddy Reeks is, along with Binn Shléibhe in Co. Galway, one of two pilot areas where a permissive access model is being piloted, based on awareness of and respect for private land. This project is being supported by The Department of the Environment, Community & Local Government-Rural Recreation Section and the Interreg IVB Rural Alliances Programme. 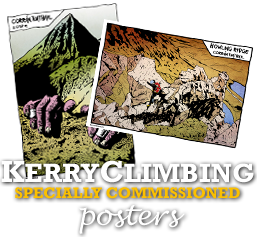 This consultation was carried out as part of a Mountain Access Development Assessment for the Reeks, initiated on behalf of South Kerry Development Partnership, Dept. of Environment, Community and Local Government and Failte Ireland. 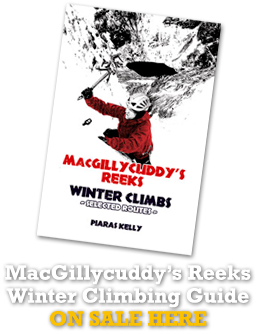 The report identified the need for the establishment and resourcing of an appropriate local management structure to manage the MacGillycuddy Reeks Mountain Access Scheme. The Forum’s vision is to cater for the growing number of visitors to this wonderful place while minimising the environmental impact and creating opportunities for local communities. 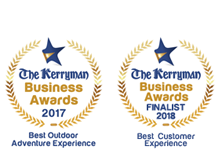 The Forum was set up as a result of over ten months of intensive consultation with key partners and is made up of representatives of all the stakeholders involved with the MacGillycuddy’s Reeks including Landowners/ farmers, responsible local & statutory agencies & authorities, community groups, small businesses, recreational users and guides and is supported by South Kerry Development Partnership Ltd.
An estimated 100,000 people go hillwalking in the MacGillycuddy’s Reeks of Kerry every year and due to the ever increasing numbers of visitors many of the more popular routes and trails are showing worrying signs of erosion. The Forum has conducted a study of the key paths on the mountain to ascertain what and where work needs to be done and have secured some funding from the Government and all other possible means available. If this erosion was to continue unchecked, it would have a detrimental effect on protected habitats and wildlife and also raise concerns about effects on water quality and issues regarding public safety. Work has now finally got commenced and is already showing commendable results and it is hoped that further works & upgrades can be part-funded under the Interreg Rural Alliances project and through government funding. 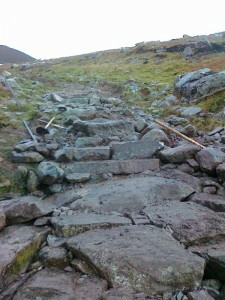 The forum applied for the much needed funding to develop a locally based skilled workforce in upland trail repair which could then repair and improve the badly damaged upland trails as part of a capital works program in the MacGillycuddy Reeks. This specialist training has been taking place ‘on site’ over the last few months. Developing an upland trail repair & maintenance enterprise particularly when the skills are not available in Ireland at present with all partners involved & participating can only be a have positive outcome of this project. Over the wild stormy winter days, our very own – Piaras, lead guide and director of KerryClimbing.ie has been hugely proud to be one of those small team of locals learning these new skills and working on these long overdue path improvements which will be a benefit to these magnificent mountains for many years to come. Over the course of all our guided ascents our clients are informed fully of the important issues on the ground regarding the Reeks Access Forum and the fantastic work they do, are told all about the recent path works and the positive plans for the future of the Ireland’s premier mountain range. To help pay for these essential maintenance and repair works, “Friends of the Reeks” has been set up by the forum. 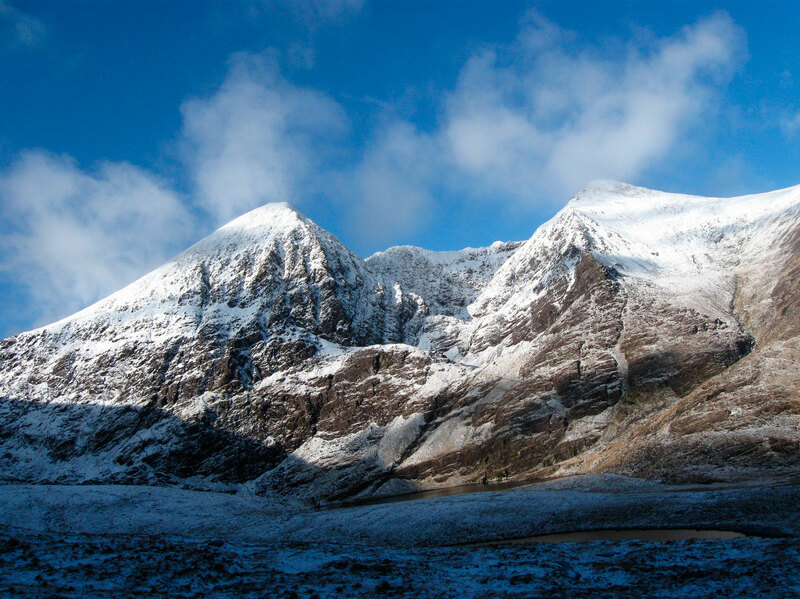 The aim of “Friends of the Reeks” is to help raise some of the required funds specifically from those who directly benefit, gain business from, and use and enjoy the mountains. 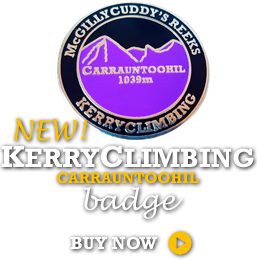 KerryClimbing is proud to be supporter of the Reeks Mountain Access Forum and Initiative and also to be an official – “Friend of the Reeks”. We hope that after your visit with us to these spectacular stunning mountains you too will become a friend and help preserve these magnificent peaks and valleys for generations to come.